Once again, the John W. Engeman Theater in Northport will be taking part in the "Community Give Back" Program. For every ticket sold using the code SBPLI, the theater will take $5.00 off the regularly priced ticket and donate $5.00 to School-Business Partnerships of Long Island, Inc. 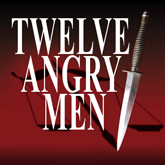 The promotion will apply to the theater's production ofTwelve Angry Men, which runs from September 19 through November 3. SBPLI is a nonprofit organization that links high schools and businesses throughout Long Island. This program creates an educated workforce for Long Island by opening the minds of students to career opportunities in science, technology, engineering and mathematics (STEM) through a collaborative partnership of schools, businesses, community organizations and government. The John W. Engeman Theater is located at 250 Main Street, in Northport, New York. To order tickets, contact the box office at 631-261-2900 and mention the code SBPLI or purchase tickets online at www.engemantheater.com and enter the code SBPLI in the promo box. This offer is good for all performances, excluding Friday and Saturday evenings.